For the past two months, select students from GCHS have been busy in the kitchen whipping up delicious creations for a good cause. Such culinary delights as cream cheese cupcakes, chocolate chip cookies and rice krispie squares were sold to high school students and staff, as well as Thunderbird Friendship Centre staff, in order to raise money for the Harvest Food Bank. 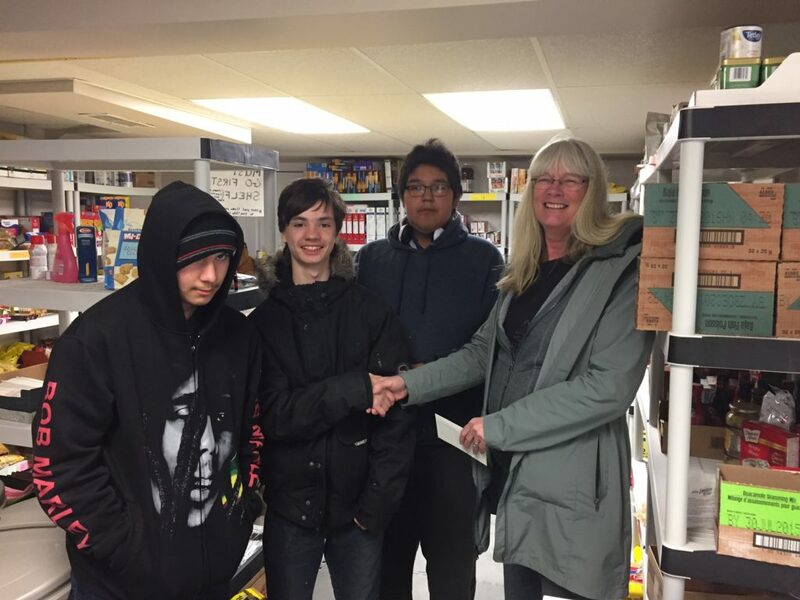 The students involved (Devon Hutsul, AJ Brockton, Roger Hunter, Casimir Meshake and Cory Russell) came up with the idea at the start of the second semester and recently cut the Food Bank a cheque for $500. The boys sincerely thank those who helped them reach their goal.